The flags flew. The hot dogs and hamburgers were grilled to perfection. The apple pie was, as always, far too tempting. 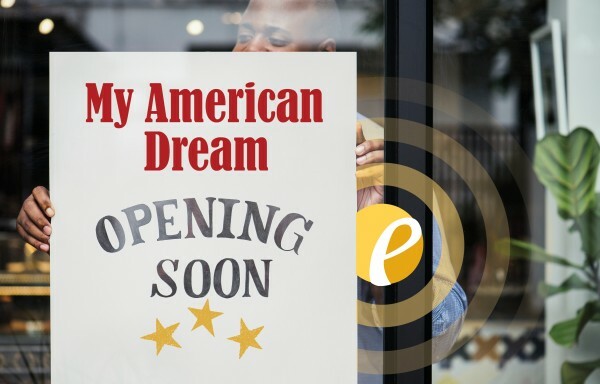 It was another fantastic Labor Day weekend holiday, and The Entrepreneur’s Source® wants you to now take a moment to think about the American Dream. What does that mean to you? Are you living it? For a trio of siblings in Houston, Texas, the American Dream meant owning their own business and living life on their terms. But first, they learned some valuable lessons in the armed forces. Chanel Jones and her sister Heather Labadie are both veterans. Their brother Seth Jones is still on active duty in the United States Air Force, at least for a short while longer. “Maybe in my teenage years I knew I didn’t want to do a nine-to-five for the rest of my life,” says Seth Jones. But Seth and his sisters did more than just dream about it. They took the initiative to make it happen. Sister Chanel took the most convincing, but she knew what her idea of the American Dream looked like. “We no longer want to be in a job just for a paycheck and no other fulfillment or enjoyment. We are very close and couldn’t imagine not doing this business venture together,” says Chanel. The trio, dubbed “The Trailblazers” by their e-source coach, eventually decided on a Maui Wowi Hawaiian Coffees & Smoothies franchise. Part of the appeal: a discount for veterans. Many franchise companies are eager to attract veterans, and they put their money where their mouth is! Companies point to the high work ethic and the experience following systems that veterans bring to the table. Couple that with strong leadership and team-building skills, and you can understand why companies find veterans uniquely qualified. The Trailblazers agree. Are you inspired by The Trailblazers and ready to start living your American Dream? If so, get started at FranchiseMatch.com!